Dairy Free Fudgsicles. My daughter is allergic to dairy, so I wanted to create a dairy free fudgsicle recipe, that she could enjoy. I have highlighted all the unnecessary ingredients that you would not use in your own kitchen. 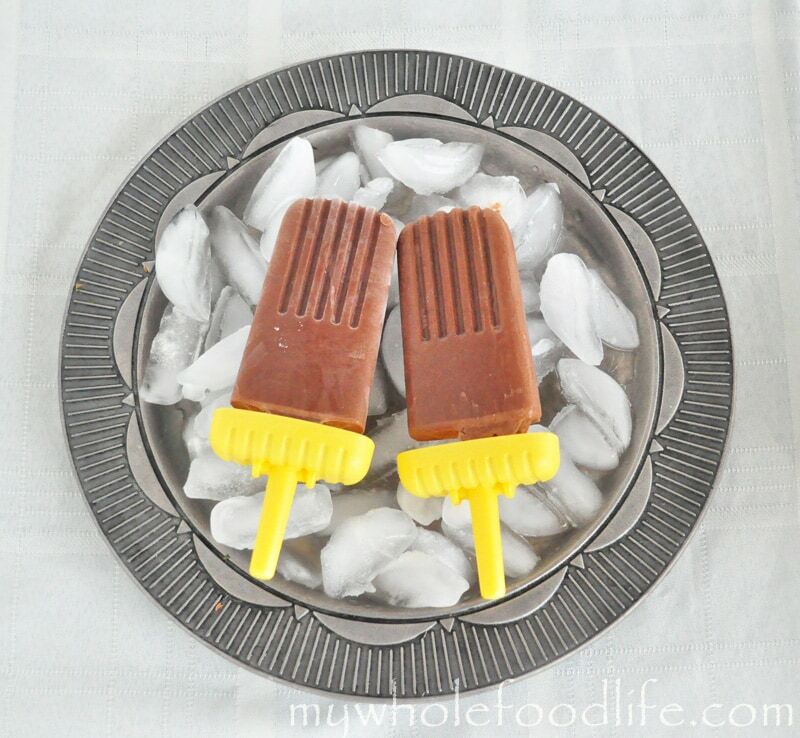 My dairy free fudgsicle recipe contains much more simple ingredients and can be enjoyed by kids with dairy allergies. I used coconut milk in these popsicles. That’s they key to getting the rich and creamy texture of fudgsicles. You can use almond milk, but the texture will be more icy than creamy. I used cacao powder in my recipe, so these are loaded with healthy antioxidants as well. Cocoa powder will work well too. Mix all ingredients in a blender and blend for about 1 minute. Pour into ice cream pop molds and put in the freezer to solidify. If you want an extra rich flavor, you can add some dark chocolate in as well. You can also use push pop molds . Enjoy! It's the same thing. I promise. Depending on the process, it's not the same thing at all! Most cocoa powder are Dutch processed which means heat and alkali. Most cacao means a raw product without alkali extraction and processing. I prefer the deeper flavor of raw cacao once I started using it. Hi, would love to make these but only have either 2% milk or light coconut milk. Would either of these work? And would one be better than the other? You can use either of those, but the texture may not be as creamy. I am lactose intolerant but I have trouble with coconut milk. Could I use full fat Lactaid? I am not familiar with that product, but I am going to say yes. Hi, I would love to make these. Can you please confirm what volume can of coconut milk is used? We have quite a few different sizes available. Hi Kirsty! I used a 15 ounce can of coconut milk.